I haven't done an IMM post for a few weeks, so this is an extra large haul. Sorry about my super crappy pictures. Maybe one day I'll actually remember to take my pictures in the daylight. Thank you NetGalley, Tanglewood Press, and Simon and Schuster! I am so excited for Wrapped! I've been majorly hyping that one for a while now. I'm also really happy Two Moon Princess was made available through Net Galley. I've been wanting to read that one, but my library system doesn't own a copy. I have to admit, Blood Red Road is a little intimidating at almost 500 pages and, eh, phonetic dialect. 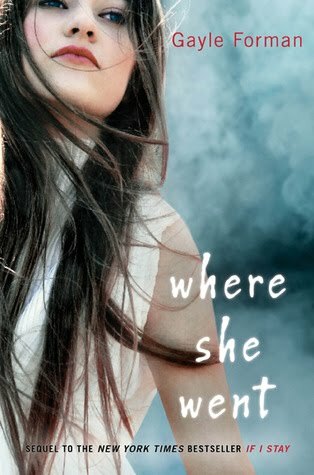 Heads up for Gayle Forman fans, Where She Went is available on Net Galley now. I didn't request it because I haven't read the first book and I don't really feel like reading it now (it's sad, right? ), but I know a lot of you are looking forward to this book. Thank you to Henry Holt and Co.! Isn't the cover gorgeous? My photo doesn't do it justice. I finished it this week and I loved it! Review to come! Yeah, my library system decided to send all of my inter-library loans at once. I put most of these requests in around January, yet they send them all now! I also got a copy of Angelfire, but I sent that one back. You'll see why if you scroll down. 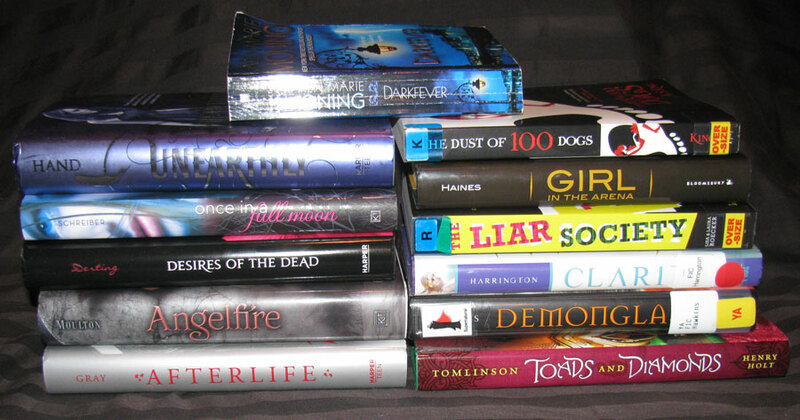 All won as part of a Dark Days of Supernatural prize pack from the always awesome Teens Read and Write. Please check out their blog if you're not familiar with them. Think I'm funny? I have nothing on them, especially when they make a video. After hearing about Danny's incredible love for this series I decided to grab this copy when it was donated at the library. All of those links go to Amazon so you can download them for free too! 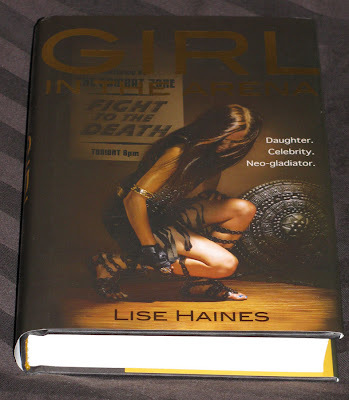 I WoW-ed Girl in the Arena by Lise Haines this past Wednesday and the incredibly awesome Natalie from Mindful Musings offered to send me her extra copy! How cool is she? A zillion points to Natalie! Thank you! *hyperventilates* WSW is on NETGALLEY! I could kick myself in the arse for never checking that place. Haven't been there in month! Please somebody shoot me! Thank you so much for the FYI. And please read IIS soon! Gawd! I just want to make out with you right now, but since that would probably be too creepy for you, I'll just run off and see if my NG logon still works. WHOA!!!! Blood Red Road is that long? That's massive... It's not part of a series is it? I added it to my to-read on GoodReads a while back but I didn't really look into it much. Geez. 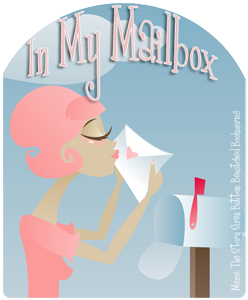 I haven't read any of the books that you got in your mailbox this week, but I hope to soon! Happy reading. Cialina, Oh my gosh, I didn't even consider if Blood Red Road is part of a series! Eek! This may just be the BEST IMM post I have ever seen! And I think we're all jealous of Blood Red Road!! Congrats on a great week :) Can't wait for your reviews! LMAO! You're right. You should have put the WSW thing at the end of the post because I after I read it was on NG my mind just went into shock! I'm a little more stable now that I have requested it. Watch me be denied because I never request anymore. I am so impressed with your IMM this week. WOW! I can't believe you WON all those books. They are so pretty! Then, someone sent you a copy you were swooning over on a Waiting for Wed. post. How cool is that! 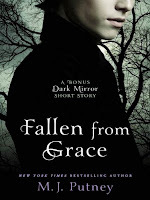 I just got Hex Hall from the Ebookfling website. I will be reading it this week. Then I can read the 2nd book you have picked up. The series sounds really good. I'm really happy for your great haul this week. Very exciting, I'm looking forward to some great reviews! I think I just had an aneurysm (that good kind) when I saw WHERE SHE WENT is on NetGalley. THANK YOU (times a billion) for telling us!! Lots of people seem to have gotten LIAR SOCIETY this week, can't wait to read it! OMG i am so super Jealous congrats on winning all those books. i think you will really enjoy Angelfire, it's so well written and you might fall in love with will. I really want afterlife, unearthly, once in a full moon,and clarity. You have so many goodies!!!! Great books you got this week. Clarity is an amazing read. Hope you enjoy reading all your books. 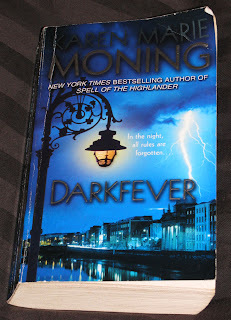 Then .. *does a little fangirl squee* I am sooooo glad you decided to start the Fever series! But please promise me something and don't stop after Darkfever! Read at least Bloodfever before you judge it ! Omg, I've been oogling at Wrapped for a while now, and I can't wait for you to review it! Diamonds and Toads is gorgeous, and I love the description too. DARKFEVER! HOORAH! I wanna read Blood Red Road and Wrapped. @_@. My library has been getting great stuff lately too. XD. So much books to read, so little time. LoL. Just...WOW! Hahaha! You get so many things! And i love your library! 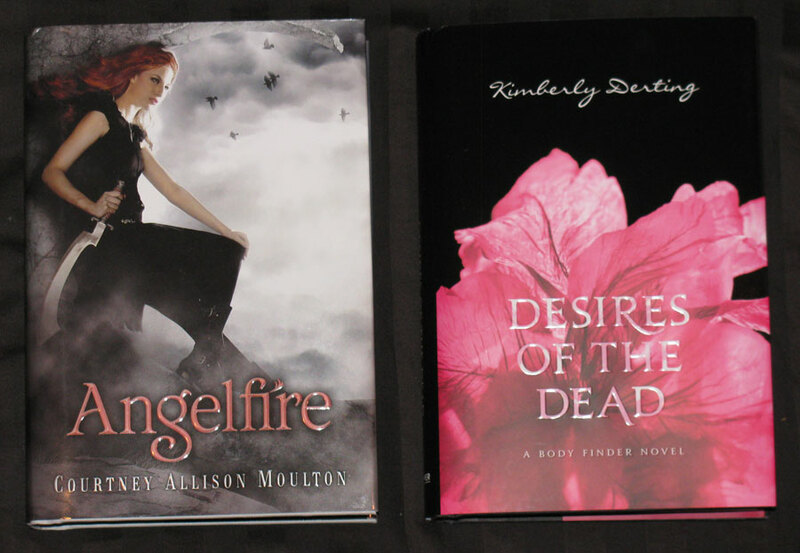 Angelfire and Demonglass are both AMAZING! I loved them so, so much. Definitely more than I was expecting! Enjoy all of your books - you always have such amazing hauls! Well l have to say, you did great this week! How lovely are other book bloggers?! So nice for Natalie to send you her free copy and also won some amazinnng books. 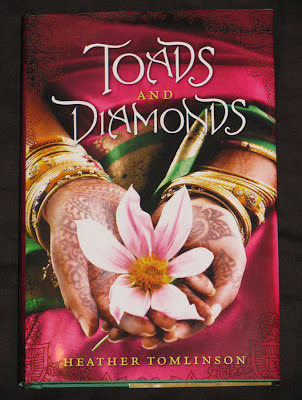 Several of these books are on my TBR, in particular Toads and Diamonds. I've had this book in the library for a while, and it has SUCH a beautiful cover, but I hadn't heard much blogger buzz about it. I used it for my "Weekly Book Talk" and after reading up on it, I immediately put it on my TBR. I'll look forward to reading what you think! Wow...great week! Your winning books are awesome! Lucky duck! I love NetGalley and need to read Blood Red Road...I hear it blows Hunger Games out of the water. You really raked up on books this week!! I still haven't read Desires of the Dead or Demonglass. Hopefully soon! Enjoy all your awesome reads! I was so excited to see Wrapped on GalleyGrab! It sounds so good. I need to get the Fever series. Everyone I know that has read it says it's awesome. Can't wait to see what you think of Girl in the Arena. I'm really curious about that one. I think I might be hating you a little bit. That's a massive haul. You got some amazing books this week!!! I'm glad you got Girl at the Arena, I know you had been wanting to try it out. I went a little crazy with Net Galley and Galley Grab this week, so I got a ton to read - I did get Where She Went (though I'm just starting the first book) - so I need to get a massive move one. Let me know how the Girls To The Rescue books are, they look cute. Wow. That's a lot to choose from. You got a lot of great looking books too. I've got to look up Two Moon Princess now. So pretty. You got sucha huge haul this week! Girl in the Arena sounds really cool. The cover is great. Honestly, I have no idea what Angelfire is about :/ It looked to me like something confusing with demons and such, so I'm looking forward to your review of it, haha. The Liar Society & The Dust of 100 Dogs look really great too! You have some great books. 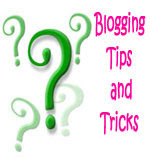 and your blog looks great. Wow you got SO MANY books this week! They all sound really good, especially Girl in the Arena. Awesome mailbox! That is a nice haul! I have Two Moon Princess on my TBR pile. Drooling big time over Wrapped & Blood Red Road :) Enjoy your new books! 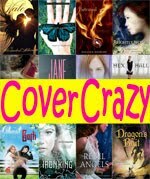 You got so many amazing books this week! 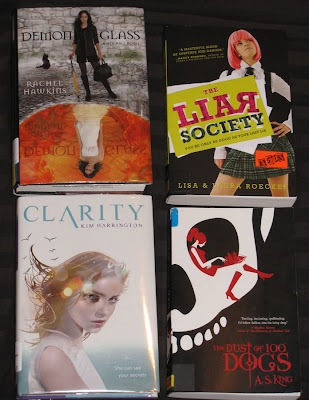 I can't wait to read Liar Society, DemonGlass and Clarity! Also Blood Red Road sounds so good and I'm really looking forward to hearing more about it! Enjoy all your lovely books and have a great week! Missie, Ooh, I see, you didn’t enter the TR&W giveaway! That’s how I was able to win. Haha, I know the secret now. I’m totally starting a distract Missie campaign so I can win all the prizes!! Hm, what other books are you looking for? I’m going to stalk Net Galley for you. Oooh, and you like free Amazon books too….a plan is forming. >:) Good luck with your request! Julie, Do you get the Simon and Schuster Galley Grab newsletter? If not you should definitely request it! That’s where I got Wrapped from. 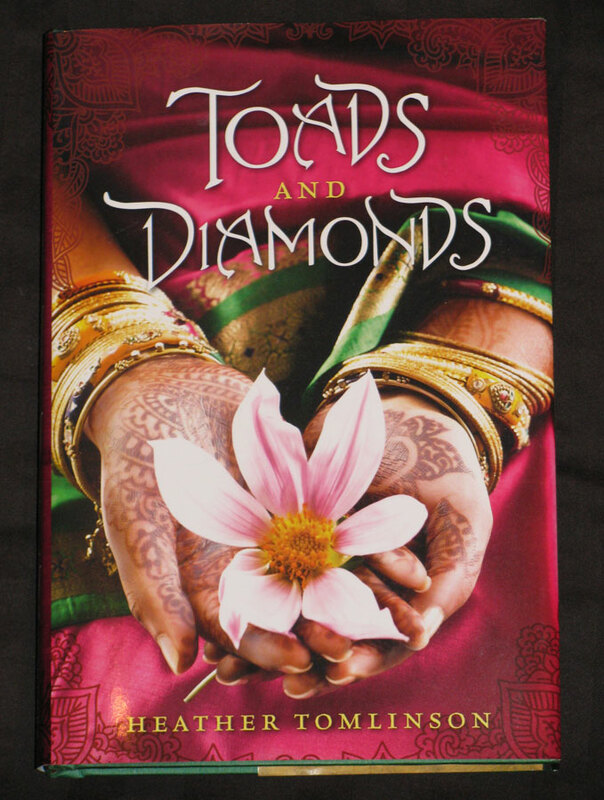 The story of Toads and Diamonds is as lush and beautiful as the cover. Gina, I’m super impressed with my mailbox too! :P You’re so sweet :) I didn’t even remember entering that contest, and Natalie, well, she’s just made of awesome. Yay! I hope you enjoy Hex Hall! It took me a little while to get into it, but I was hooked by the end and I’ve heard the second book is even better. Rebecca, Good to hear about Clarity! I’m looking forward to it. Stephanie, Thank you! Another blogger said Two Moon Princess is awesome, so I’m really looking forward to reading it now. The Slowest Bookworm, Thank you! I really am going to be busy. This isn’t even counting the books I already had from previous weeks. Can you ever have too many books? No, no, what am I saying? Of course not! Dazzling Mage, Me too! I was so excited when I saw Wrapped in the S&S newsletter. I really enjoyed Toads and Diamonds. If you like fairy tale retellings than you should give it a shot. Need Tea, LOL, yes, I could really use more time :P Between you and Danny I have super high expectations for Darkfever now. Yiota, Haha, I love my library system too! They’re so good to me. Amber, Yay! I’m so happy to hear you enjoyed Angelfire and Demonglass. I hope I love them both. Between Will and Cal, how can I not enjoy those two books? Books for Company, I was just telling my fiancé, book bloggers are some of the nicest, most generous people I’ve ever met. This is such a fantastic community. 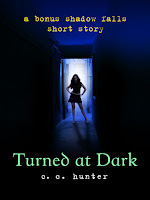 Annette, I should have my review up in a few weeks, but until then I’ll just say that I loved it! 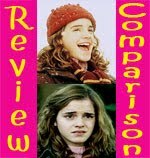 It has a great “fairy tale” feel to it and the atmosphere/world building is fantastic. I definitely recommend it if you enjoy fairy tale retellings. Lazy Girl, LOL! I do. I don’t even know where to put them all! Christy, I still haven’t read them yet either, and with all these books it may be a little while before I do! :P They both look great though. Alex, Thank you :) I’ll keep you posted on Girls to the Rescue. It’s hard not to go crazy with Net Galley and GG. It’s just so easy to request way more than I could ever read in time! Christie, Ooh, I’ll be looking forward to reading your Two Moon Princess review when you’re done. I’ve heard it’s good. Smalls, seriously UH-MAZING book week! Like my mind turned to mush at the sight of some of those! And I also wanted to let you know that I've recently fallen in love with you. Why? You just informed me that the sequel/companion to IF I STAY is on NetGalley. Let me give YOU a heads up: that is one emotional story. Make sure to have a box of tissues, 'kay? If Jen says that Blood Red Road can blow Hunger Games out of the water, my interest is officially piqued. Great haul! I thought you hadn't read Hex Hall yet? Tara, Ha, yeah mine too! What is up with that? It’s always months and months of waiting for inter-library loan books and then BAM! all at once they come in a huge pile. No Hunger Games?! What are you waiting for? Hex Hall is yours! I think I just assumed you hadn't read it. Bad Logan! Logan, Um, I have no excuses for why I haven’t read The Hunger Games yet. I was waiting for Mockingjay to come out but, yeah, I can’t use that excuse anymore :) Thanks for Hex Hall!